Using eye contact to flirt is very powerful if you know how to use it effectively, if you take the wrong approach, you should be expecting wrong result. Hopefully after reading this post here today on how you can use eye contact to flirt with anyone, you’ll be able to do in skilfully and enjoy the greater benefit of using eyes contact to flirt. In some culture maintaining eye contact is not encourage because, it is seen as a sign of disrespect and someone that has no moral value, especially when you lock your eyes with someone that’s a bit older than you. But in the western culture, eyes contact is a good thing anytime any day; in fact, it shows how courageous, dominance and control you can be. Because your eyes can never deceive you, it is easy for someone who understands how to read body language especially through your eyes in this instance, to easily detect if you’re truthful or hiding something away from him or her. In order for you to use eye contact for effective flirting, you should try as much as possible to avoid, looking downward – it makes you look like you’re hiding your emotion, looking sideway when walking or sitting – are seen as nervous, untrustworthy, and distracted. Whether you’re male or female the principle of flirting with eye contact is the same except some little tweak to show mannish or ladylike part of you. With that said, let now move into how you can flirt with your eye and make the other person get what you’re trying to let them know. Even if your crush is not looking at you, try to stare at him or her several time, there is something in us human, when someone is looking or continuously staring at us, something will prompt us to look in that direction no matter how seriously engaged we are doing some other things. If you’re the shy type, you may not look directly into your crush eyes, just look at the edge of his or her nose, or look somewhere closer to his or her eyes, the person cannot tell the difference whether you’re looking directly into the eyes or looking somewhere closer to it. After your locking eyes with your crush for 3 minutes, break it and look side way with smile on your face. I mean a genuine smile not that kind of sarcastic smile that will immediately create wrong feelings about you in his or her mind. For woman, drop your eyes down and smile as if something exciting is on your lap but ensure your mouth is closed while smiling, then look up to him again slowly, that tells him to come get you, though you’re a little shy but not too shy if you understand what I mean, is just the female kind of shyness in the beginning of establishing friendship or conversation with someone you’ve not met before. Mostly these will be for guys, when flirting with your eyes and especially when the conversation has started, please and please don’t stare at ladies’ breast, it is a complete turn off, many girls complain about this particular no go area when flirting with them. If she has not given you the go ahead to look at those danger zone, don’t look at them, even though, the breast can be so tempting and calling for your attention, just focus on the eyes and get your message across to her that you’re really interested in her. The truth is that, out of all the body part that are used for flirting, eye contact is the safest and simplest ways to convey your messages across and get feedback in no time without third party even knowing what was going on between both of you. It is a kind of body language that is so exciting, no matter where you flirt with it, you don’t even need to get someone approval to go ahead and use it, if the person doesn’t like it, you move on and if he does, that makes it more interesting and fun. If you’re shy type here is how to practice eye contact and when you master it, it will be easy to go all out and start flirting with your eyes. Here is what to do, first of all, go look at yourself in the mirror, trying to look at the colour of your eye, stare at it for some minutes. Get kids or people that are still of much younger age than you and talk to them while looking straight into their eyes (don’t think this is easy, initially it will not because you’re shy but as you practice it, you’ll get used to it). Then go out and take a walk, as you walk look up into anyone coming towards you, don’t look away immediately, try as much as possible to found out what colour his or her eyes is. If anyone get offender why you’re looking straight into their eyes ask you, tell them you’re practicing eye contact, they will get confuse and just walk away. Go to sales people especially female if you’re male or male if you’re female and ask about what they are selling, these people are trained to look into your eyes to convince you to buy whatever they are selling, it is an opportunity for you to lock eyes with them and start conversation for as long as you desire. Before you know it, you’re already getting used to look people in the eye without any form of awkward feelings. Cashiers are also another set of people you can use to practice eye contact with. Flirting by eye contact is safe, fun and calm way to find out if someone is really having interest in knowing more about you, without the pressure of making the first move. 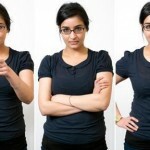 Watch out for the remain part of body language 101; how to successfully use them for flirting. To read that of body posture to flirt successfully with anyone, please click here; Using Body Posture to Flirt. infact, this is more than amazing.